Activate by sending 1 card from the top of your Deck to the Graveyard. 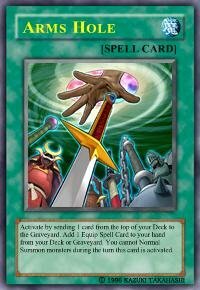 Add 1 Equip Spell Card to your hand from your Deck or Graveyard. You cannot Normal Summon monsters during the turn this card is activated.